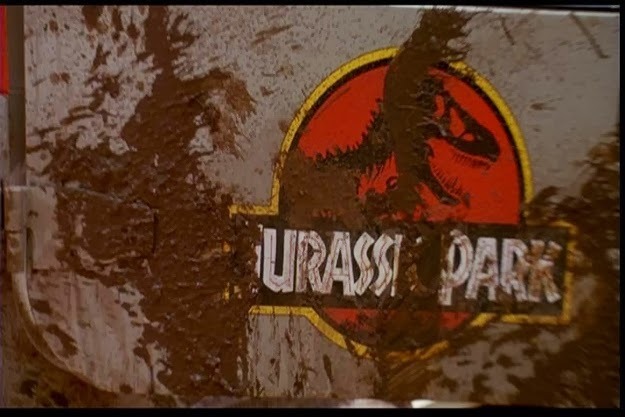 Steven Spielberg first learned about Jurassic Park during a meeting in 1989, with the book’s author, Michael Crichton. 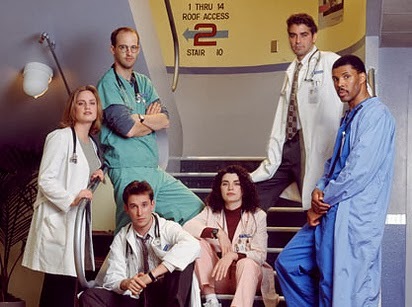 The two had actually met to discuss a screenplay he had written for what would eventually become the TV series ER. High-profile directors who were also interested in adapting the book into a movie included James Cameron, Richard Donner, and Tim Burton. Crichton’s agents circulated the book to various studios and directors, ultimately Spielberg was able to acquire the rights to the book. 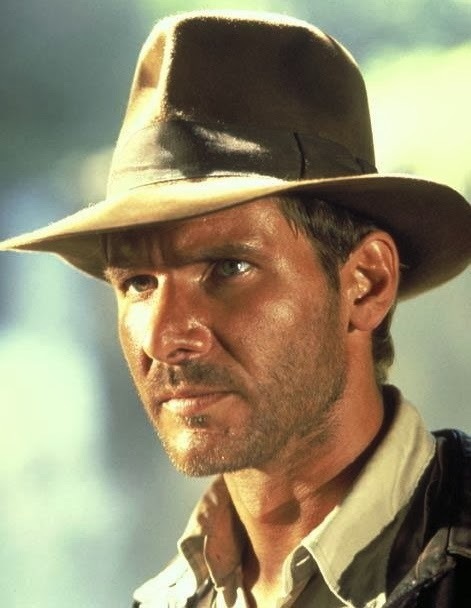 Harrison Ford turned down the role of Dr. Alan Grant. 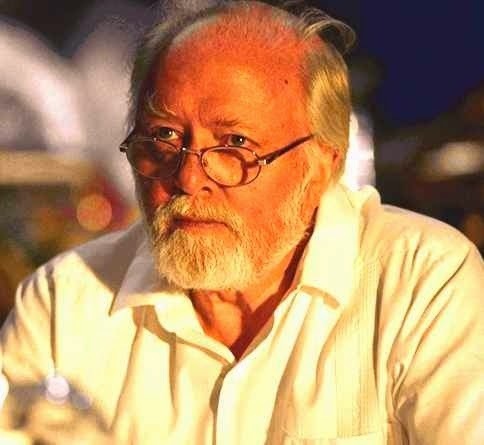 Spielberg famously lured acclaimed British director Sir Richard Attenborough out of a 14-year acting retirement and cast him as John Hammond. 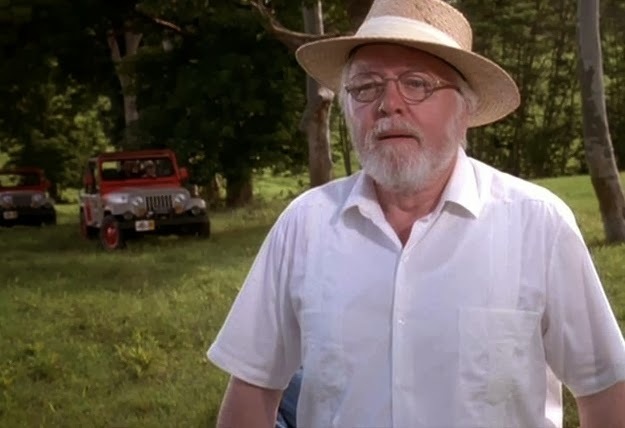 But Jurassic Park was actually the third film Spielberg had asked him to appear in. 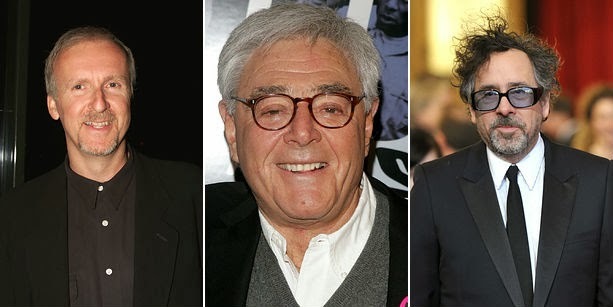 Attenborough had declined roles in two previous Spielberg films. In 1983, Attenborough’s film Gandhi beat out Spielberg’s E.T. the Extra-Terrestrial for the Academy Award for both Best Picture and Best Director. 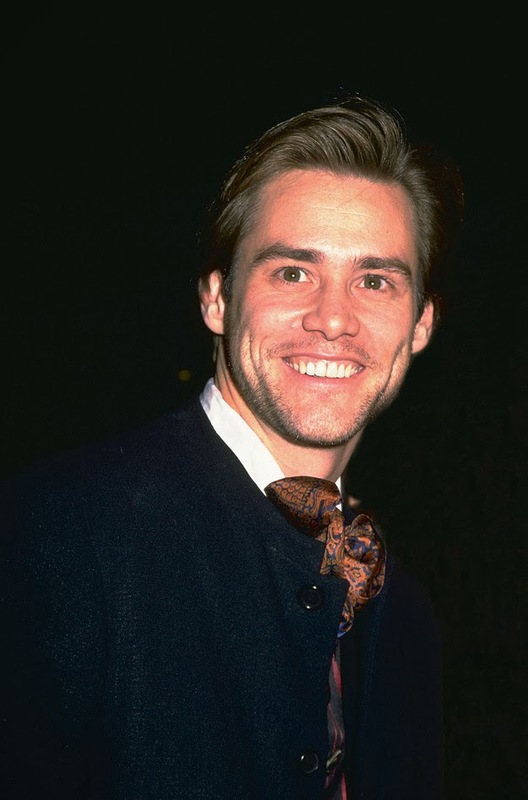 Jim Carrey auditioned for the part of Ian Malcolm, and according to the casting director, Janet Hirshenson, he did a terrific job. 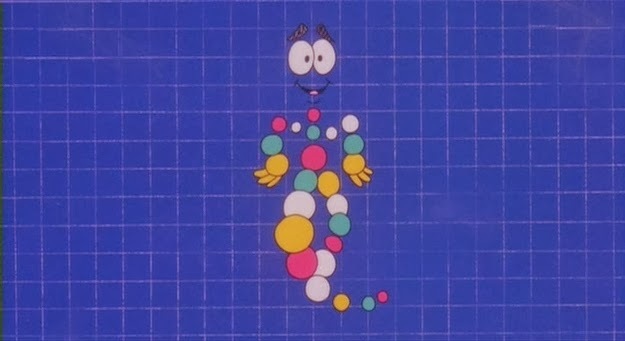 Although Jeff Goldblum was always first choice, they did test out other actors. Both Helen Hunt and Gwyneth Paltrow were considered for the role of Dr. Ellie Sattler. 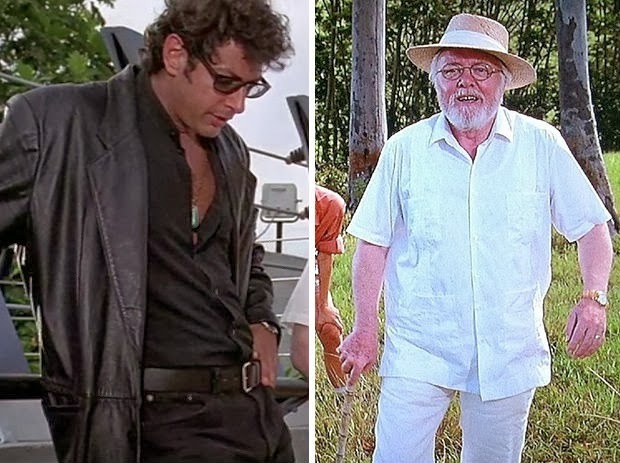 Ian Malcolm’s famous line “Don’t you mean extinct?” was actually inspired by something special visual effects supervisor Phil Tippett said to Spielberg when he was told CGI and not stop-motion would be used to animate the dinosaurs. 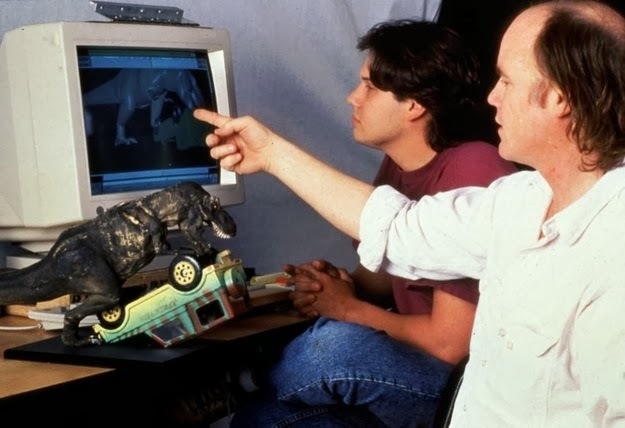 Tippet (above right), who specialized in stop-motion animation, realized that CGI was the wave of the future after seeing some rough renderings of the dinosaurs — and he quipped, “I think I’m extinct!” Spielberg found it so funny that he added it to the movie. Tippett stayed on the production as a consultant. 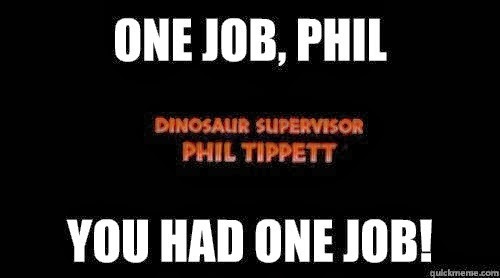 Tippett actually worked with the CGI animators to help create the realistic movements of the dinosaurs. 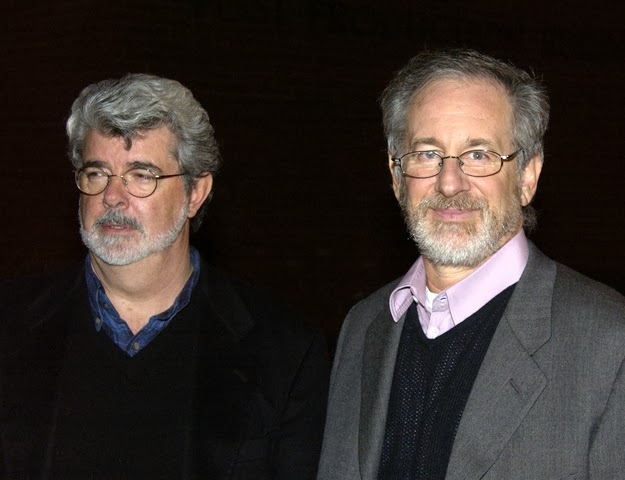 Because of the long amount of time necessary for post-production, George Lucas took over the post-production responsibilities so that Spielberg could go to Europe to begin shooting Schindler’s List. He even has a credit at the end of the film. 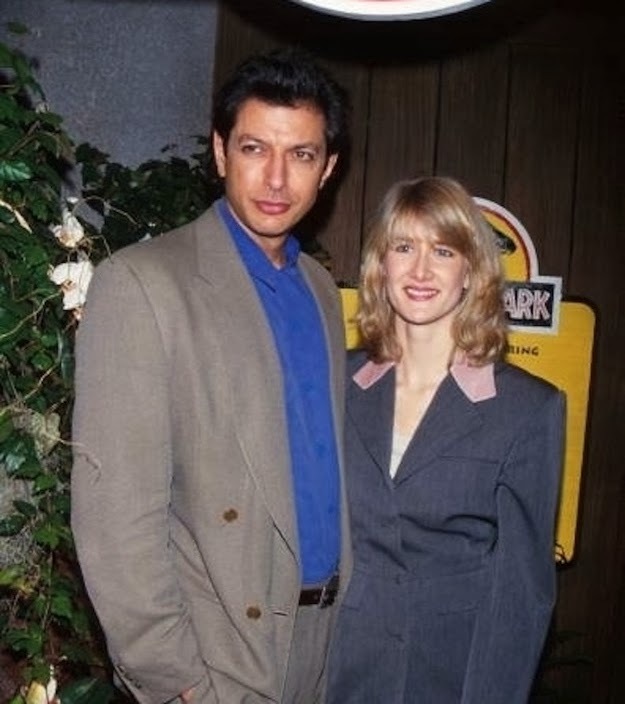 Jeff Goldblum and Laura Dern began a romantic relationship after meeting on set — they were engaged for two years before calling it quits. Actor Whit Hertford, the creepy and annoying kid from the beginning of the film, went on to be the voice of Hyp in The Land Before Time III: The Time of the Great Giving. There is a reason Malcolm wears all black and Hammond all white: It symbolizes how diametrically opposed the two characters are. 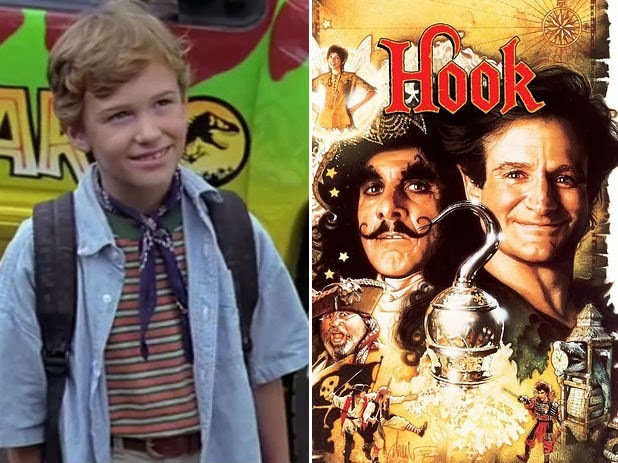 Joseph Mazzello, who played Tim Murphy, originally auditioned for Spielberg’s Hook — he was turned down for being too young for the role of Jack Banning. But Spielberg promised to cast him in his next movie. Easter egg: Jaws is playing on one of Nedry’s computer screens. In order to create the ripple effect in the glass of water, a guitar string was attached to the underside of the dashboard of the jeep and strung. The screams in this scene are genuine — the animatronic T. rex was not supposed to break the plexiglass. The movie has a running time of 127 minutes — but includes only 15 minutes of actual dinosaur footage.